Central Coast Poultry Club Inc.
An enjoyable evening featuring an informal poultry show of breed pairs younger than 12 months of age. Members and their guests are encouraged to bring their own birds to exhibit, prizes will be awarded for winning entries. 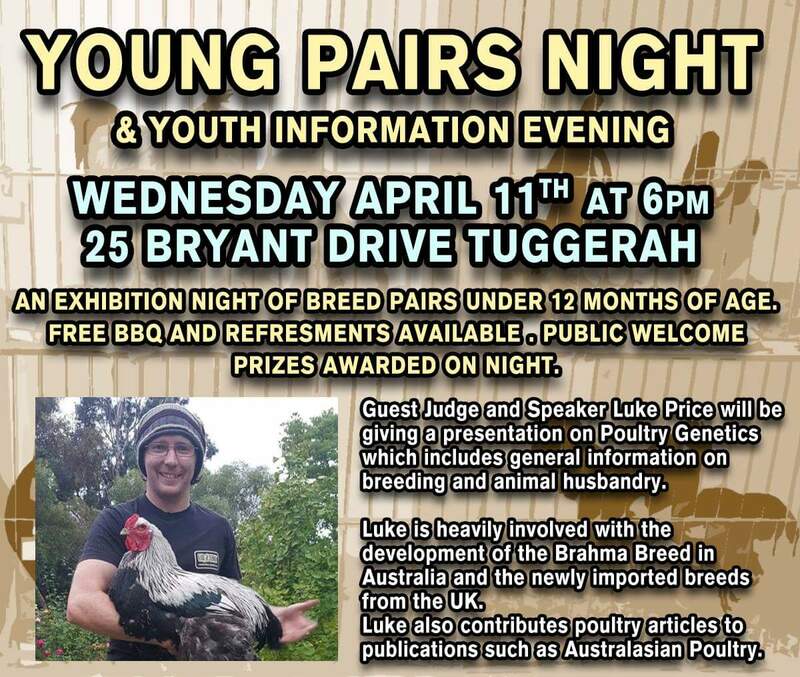 Supper will be provided with the evening capped off with a talk by judge and guest speaker Luke Price on the basics of keeping and exhibiting show poultry. A new cashback service that offers up to 90% cashback when purchased on the Aliexpress platform, and other stores. Payments from $0.2, without Commission, instantly, to the card or other payment systems. Try it, you may like it. , 90% , . $0.2, , , . How can you become the best football player you can be? You already practice as often as possible, and you always listen to what your coach has to say. There is more to being great than just that, and reading this article will be one step you can take towards greatness. Make sure you work on your mental game as much as your physical game when preparing for football. Although keeping in shape and practicing the drills is tough for anybody, the mental aspects of football are what trips most players up on the field. Make sure you're as tough mentally as you are physically. Remember that making a running play is a little different than making a receiving play. You want to take the football from the quarterback with only one hand. You don't cover it up with both arms until you are about to be tackled. Make sure that you hold onto the ball until you hear the whistle stopping play. Now that you plan to use the advice from this article, nothing can stop you from reaching your goals. Be safe as you play to avoid injury and use these tips within your strategy. Your opponents will shake in their cleats as they see you are on the field, ready to win!